AmericaJR.com's Jason Rzucidlo reports from inside the Eclipz Lounge at the Greektown Casino in downtown Detroit. A press conference was held to announce the winter activities and music line-up for the 2011 Motown Winter Blast. Watch for remarks from festival producer Jon Witz, Wayne County Executive Robert Ficano and Radio Disney-Detroit's Brian Christy. AmericaJR.com's Jason Rzucidlo reports from inside the Eclipz Lounge at the Greektown Casino in downtown Detroit. A press conference was held to announce the winter activities and music line-up for the 2011 Motown Winter Blast. Watch for remarks from Greektown Casino Owner Marvin Beatty, The Ambassador Bridge Company's Nora Moroun, Detroit City Council President Charles Pugh and Wayne County Executive Robert Ficano. Festival producer Jon Witz was the host/emcee. 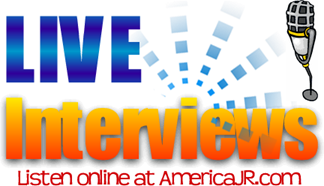 Watch more interviews and videos on AmericaJR.com!